So, we're almost a week into the new year and I'm doing my best to clean up my eating habits after about two solid months of junk food. Let's be honest, once the Halloween candy comes out it is all downhill through your New Year's Eve snacks and champagne, right? Well, in that vein I have a super healthy vegetarian-- actually, vegan (never thought I'd say that about one of my recipes!) -- soup to share with you today. This recipe was inspired by Potbelly's, of all places. 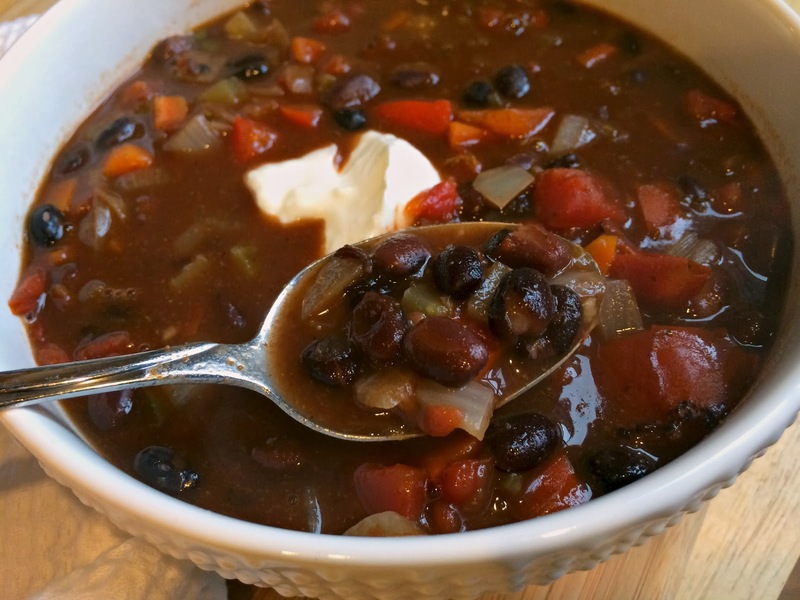 My friend and I were out on a marathon shopping trip before the holidays and popped in for a quick lunch where they had this great spicy black bean and tomato soup on the menu. It was hearty and satisfying with a big kick of heat and I immediately started formulating my own copycat recipe in my head. My version of this soup is a pretty darn good knock off. 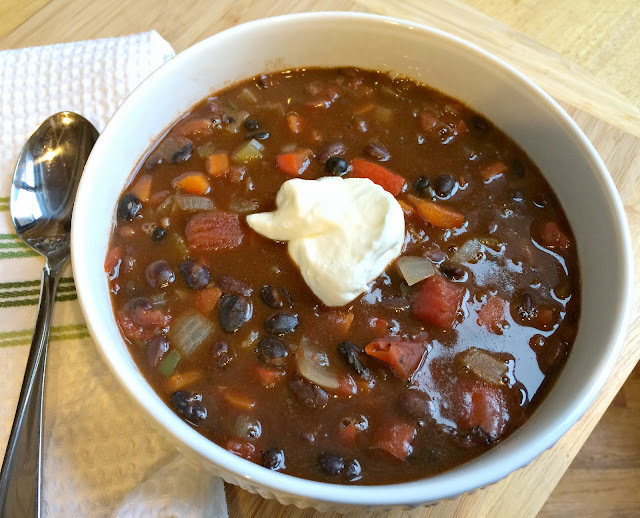 This soup makes a really well balanced and filling meatless meal full of black beans, veggies, and a spicy smoky tomato-based broth. I made a huge batch, froze it in individual containers and just pack one in my lunchbox to heat up at the office. I love to eat mine with a little plain Greek yogurt or cool avocado-- both great contrasts to the heat of the soup. It's the perfect low maintenance, but hearty winter lunch. In a large soup pot or Dutch oven, heat olive oil over medium heat. Add onion, peppers, carrots, and celery and saute for about 8 minutes or until vegetables begin to soften, but are not browned. Stir in garlic and cook for another 4 minutes, stirring occasionally. Pour in black beans and tomatoes (along with the liquids from the can) and the vegetable stock and stir to combine. Add in cumin, chili powder, cayenne, and season with salt and pepper. Bring soup to a boil and then reduce heat to medium and simmer for 20 minutes, stirring occasionally. Taste soup and season with additional salt and pepper, if desired. 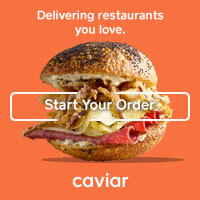 Serve warm with desired toppings. Some recommendations: Sour cream, tortilla strips, cilantro, or diced avocado. Going to make this Friday night, can't even wait!! Let me know what you think, Kendall!